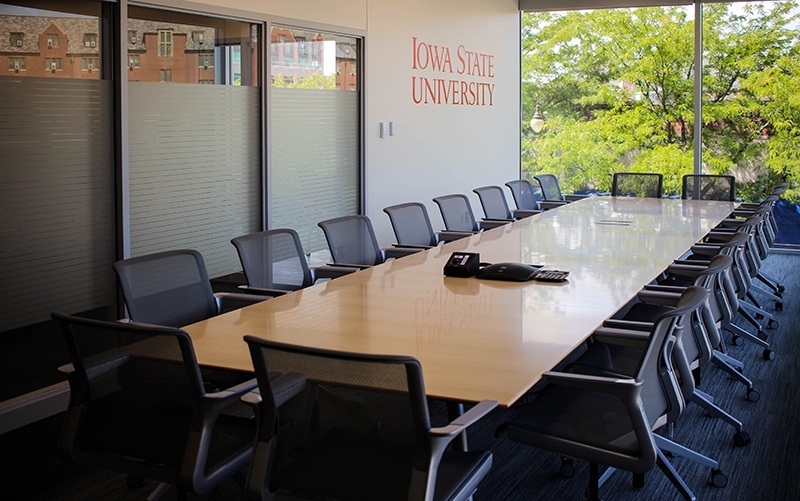 In 2016, a large redevelopment project on the corner of Lincoln Way and Welch in Ames transformed what is known as Campustown directly across from the Iowa State University campus. 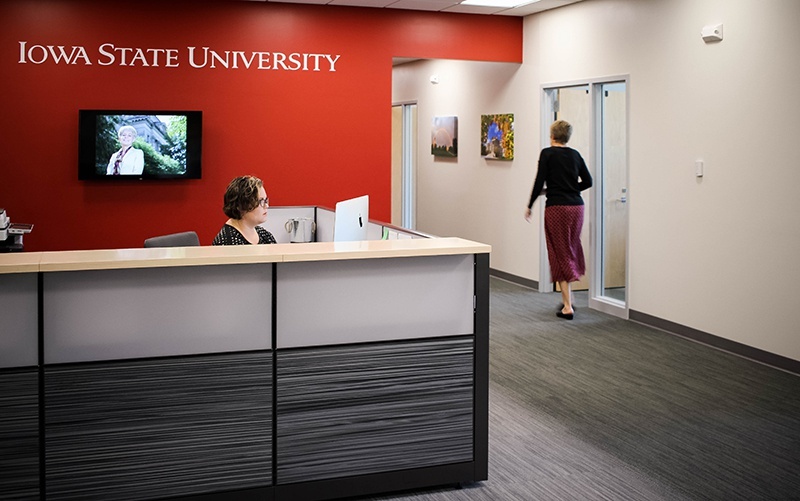 Several entities from ISU found a new home within the complex including University Relations, ISU Daily Newspaper, Institutional Research, Office for Responsible Research, and the college’s call center. All entities operate independently, and separation from one another was important. 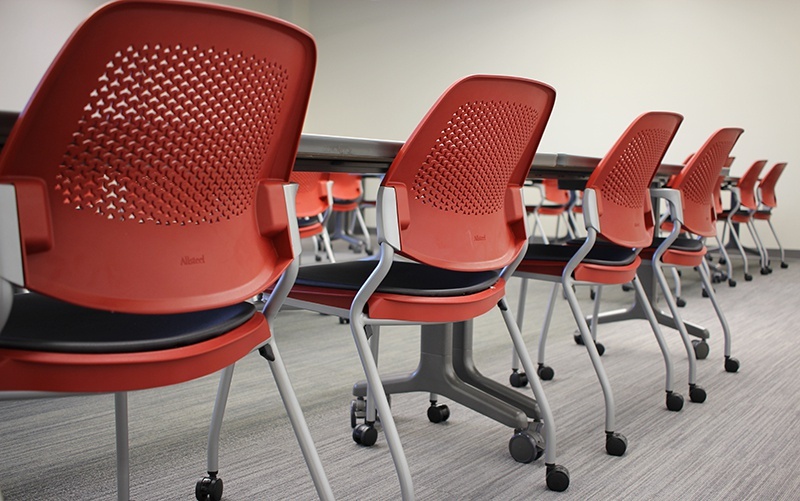 Most offices initially wanted a large conference room but as the program grew to include five tenants, limited space compelled the design team to include one shared large conference near the main circulation for all. 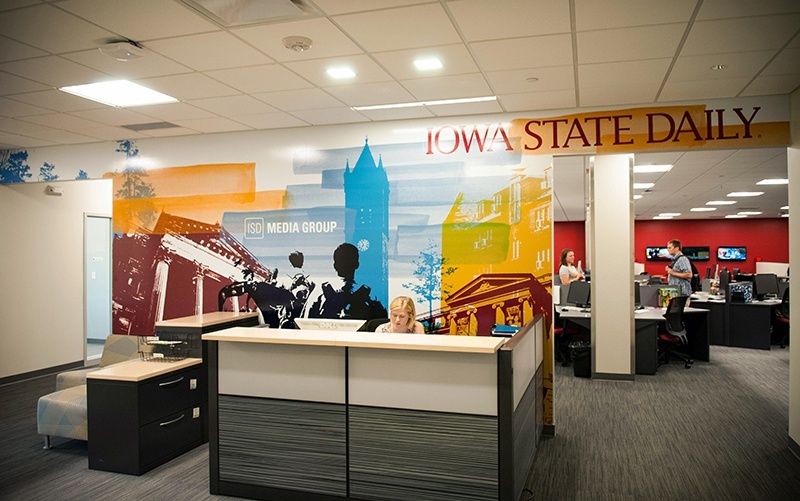 Affordable interiors for each space took on their own identity as well, with University Relations projecting a professional and fresh approach and the ISU Daily adopting a more youthful and flexible vibe. 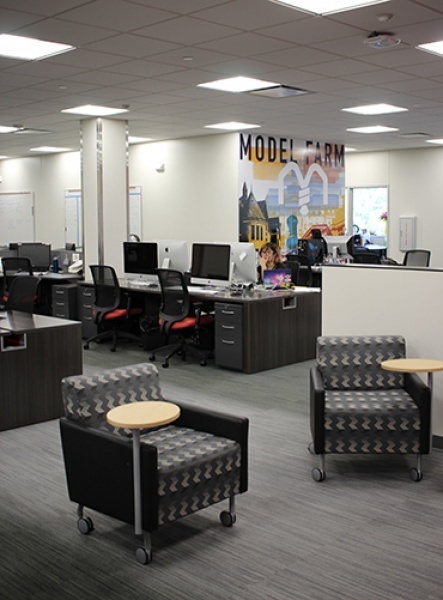 This second floor fit out serves a variety of purposes and certainly isn’t just an 8am – 5pm workspace. 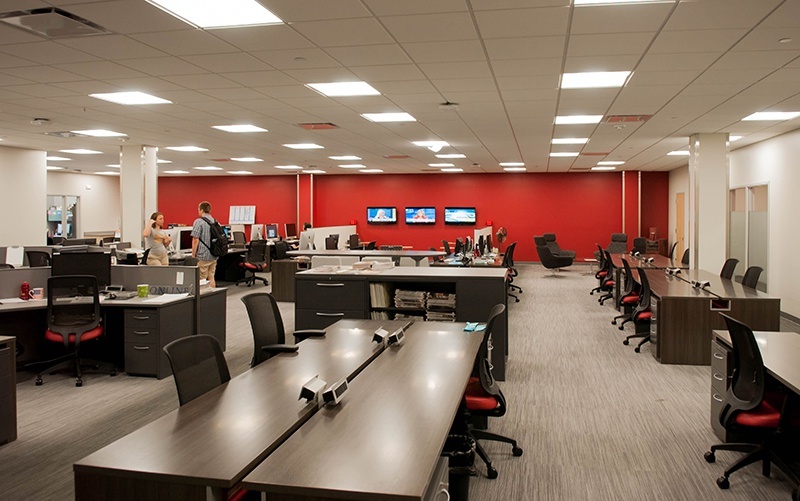 A variety of entries and security were also factors in shaping the overall flow of the 26,700 SF space.